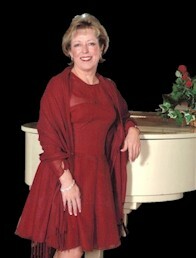 Lynn Keen - Variety Music for a Variety of Audiences Entertainment for your event...soloist, bands, jazz bands, and more. is a dynamic entertainer! Accompanied by a variety of instrumentation to meet the occasion, Lynn provides vocal styles for any venue and has entertained a variety of audiences from weddings, public entertainment venues to providing entertainment for US Presidents! Lynn has presented entertainment with jazz bands, rock bands, variety acts, a cappella groups, holiday carolers, and more. Posted by Lynn Keen. Copyright 2017.